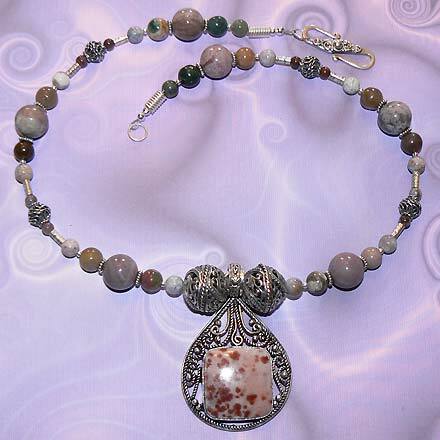 Sterling Silver Fancy Agate Necklace. See Closeup. Sterling Silver Fancy Agate Bracelet. 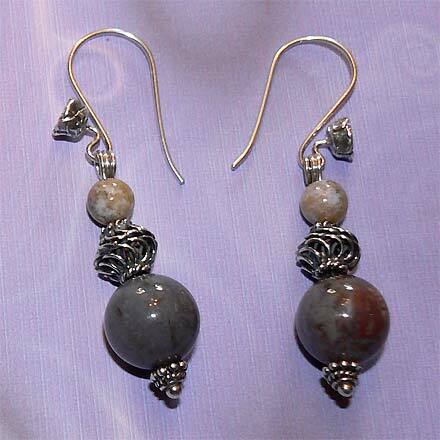 Sterling Silver Fancy Agate Earrings. Sometimes the definition between Jasper and Agate are baffling. I have seen Fancy Agate also called Fancy Jasper. They look identical to me and they are both silicates. Jasper is opaque and Agate is translucent, however when you look at the "Fancy" variety, it's difficult to say whether it is definitively opaque or translucent. It's somewhere inbetween. 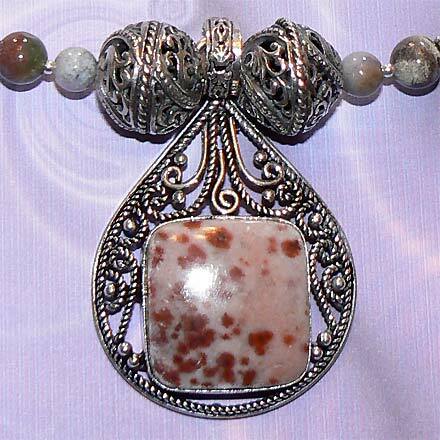 Anyway, I used Fancy Agate beads in all sorts of colors, mostly mauves, browns and greys, throughout this jewelry set. The pendant stone was called "Spotted Agate," a square cabochon framed in an ornate teardrop pendant. For those who are interested in Astrological significances of stones, Agate corresponds with Capricorn and Gemini; Jasper corresponds with Virgo and Leo. 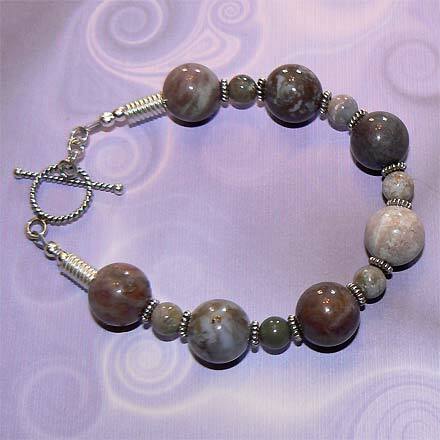 I'm not exactly sure whether the beads are technically classified as Agate or Jasper, so take your pick!